Path of Exile is really rather great. Until Diablo 3 got its second wind around Reaper of Souls, it was my go-to action RPG. The icing on the cake was that it was free; yet for that sweet price of nothing, it did all the things you could conceivably want an ARPG to do, and did it with style. There’s a reason it’s on our list of the 10 best co-op PC games. 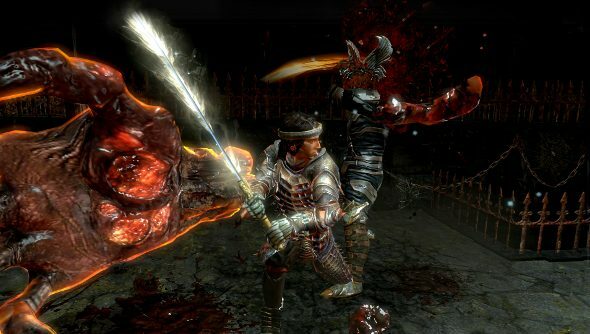 If you’ve wandered away from the game, or simply never played it, then now is a good time to grab a sturdy weapon and start slaughtering things throughout Wraeclast, because it’s getting a new expansion: Forsaken Masters. So who the devil are these forsaken masters? They are the seven men and women who stood against Dominus, but were defeated and exiled to Wraeclast along with all the dregs of the world, including your fine self. But instead of getting down in the dumps, they thrived. Now the masters are willing to share their knowledge with others, which is quite handy, because Wraeclast is a deadly place. Only two of the masters have been revealed so far: Haku the armourmaster and Vorici the master assassin. The rest will be unveiled as it gets closer to the launch date of August 20th. These masters have tasks for players, which increases your reputation with them, opening up more of their wisdom. These missions come in different flavours depending on the master. Vorici, for example, tasks exiles with killing marks or sending grisly messages through violence. For your trouble, you’ll be taken to hideouts that you can customise, building secret towns or guild halls. The masters will also train exiles in new crafting techniques or sell skill gems and unique items. It sounds like a lot of lovely new stuff, and on top of what the masters can offer are new support and skill gems, new challenge leagues, an update to the passive skill tree, and tweaks to existing content including bosses like Merveil and Brutus. Keep your eyes peeled for the full patch notes when they appear a couple of days before launch.